It’s finally here! 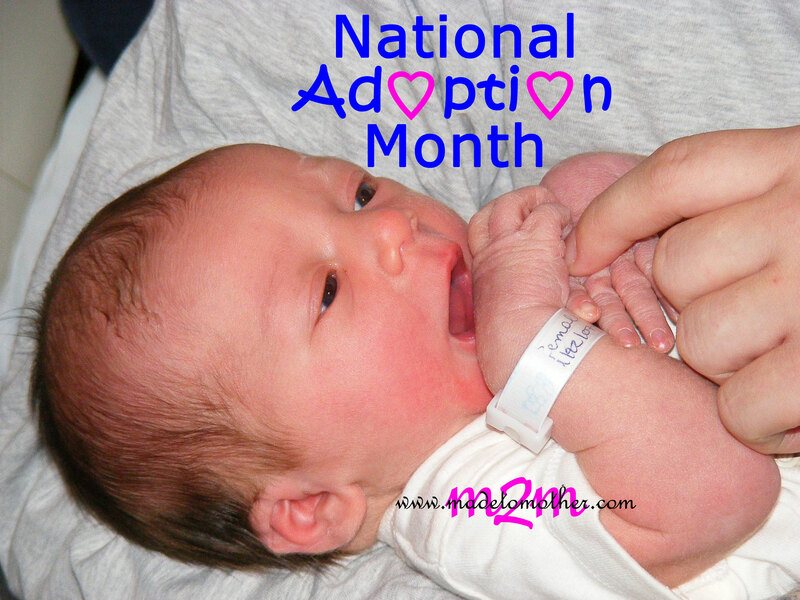 Happy November and welcome to an exciting month-long series here at M2M on ADOPTION! Each week throughout the National Adoption Month of November, I’ll be sharing real stories from real adoptive mothers, adoptees, birth moms and adoption organizations. I hope you’ll come back each week and read them. Adoption is super close to my heart, most specifically for the cause of the birth mother. 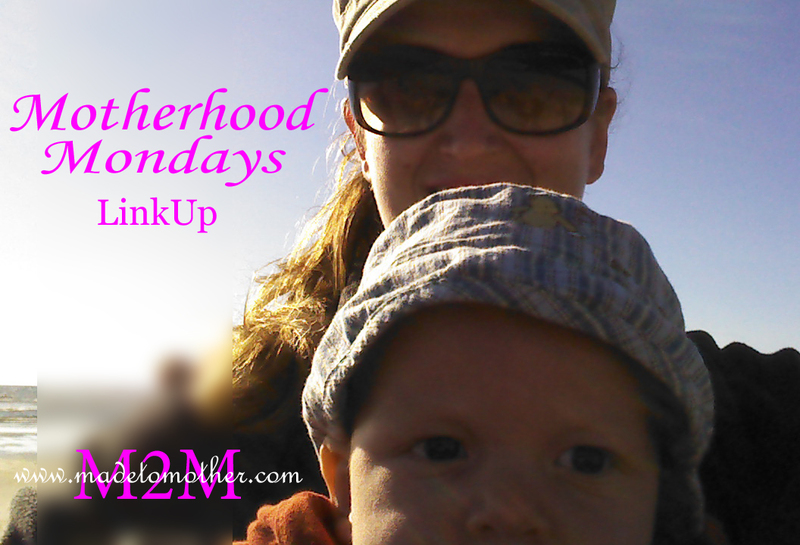 I love to champion for birth moms because I feel their pain. I am one. When I was a twenty year-old college sophomore, I made some really poor decisions that led to an out-of-wedlock pregnancy with no way or will to support a child. But instead of seeking help, I chose to ignore all the signs, not think about my problems and hide my pregnancy from everyone around me except my best friend. She continued to encourage me to do the right thing, but with the stress of school and other family problems swirling around me, I just couldn’t think past my own selfishness. It wasn’t until I was just weeks away from my due date that I forced myself to realize and prepare for the inevitable. I confided in another friend at school who could help me take care of myself, make plans and eventually take me to the hospital in time to deliver a tiny, but precious baby boy. It was only by the grace of God that he was healthy, that I found him a loving family to adopt him and that I was able to keep my secret until years later when I was finally ready to work through it, and find healing. I wrote a memoir about that time in my life, not only to help me though the healing process, but to hopefully help other birth moms through their own healing as well. Each corner of the adoption triad has it’s bumps and bruises. It’s never how it looks on TV or what the adoption literature and profiles want to make it appear like. It is not even close to being all roses and sunshine. Like life, adoption on all fronts is hard, it’s emotional and it’s messy. From the outside, it may just look like ordinary parenthood, but there are a whole slough of even more things to work through. There is loss, nature vs. nurture, abandonment issues and sometimes a lot of therapy. But there is a beautiful side to adoption as well, an important, necessary and redeeming side. There are so many babies and children in this world, in this country, that need parents. They need loving, stable homes with safe grown-ups who will love them through the tantrums, through the issues, through the mess. And there are parents without children. Women who want to be mothers, but cannot without help or those amazing families that feel called to take the needy in. Adoption is a beautiful bridge between these two heartbreaking places and it deserves to be celebrated. I hope this month you’ll grab a cup of something warm, a snuggly blanket and some tissues and join me each week in hearing these brave families’ stories of heartache, hope and healing. “Adoption is a bridge between two heart-breaking places” – powerful sentence. I know so many who have adopted, who have found such fulfillment – such blessing! What a beautiful heart you have to share your story! Thank you! I hope you come back many more times this month and read some of the amazing stories I have lined up. Looking forward to your posts on adoption. It is such a beautiful thing when God brings parents and children together through adoption. Always reminds me of how God adopted me into His Kingdom. Wynter, this is beautiful. Thank you for sharing your story and the stories of others openly and with God at the heart of it all. I know this will be a powerful series and one that is important to women in all walks of life. I look forward to reading more and to getting to know you better. Thank you for linking up with The Weekend Brew and I will pray that the stories shared here will reach those who need to hear these healing words. Blessings! I love that you shared this story — it was so well-written and really captured how you felt and how you managed during a very difficult time. Amazing post. Thank you for sharing your story! I appreciate your heart for those who have gone through what you have and your honest telling of what has to be a painful time! As a mother through adoption and birth I really look forward to reading the stories, and also really enjoyed reading your story! Thanks Erin! I look forward to reading yours! BEAUTIFUL! He reminds me of John Singer Sargent’s works. I studied art in undergrad, what a joy to be able to do art as a career and ministry! Wynter, I can see how your story is one that speaks to people from many different places – how it is, in itself, a bridge. I love this, as someone else already pointed out: “Adoption is a beautiful bridge between these two heartbreaking places.” We need these bridges. Thank you for your courage and for providing a space where others who have been on either side of these heartbreaking places can share their stories, too. Thanks for reading! I hope you’ll come back for more the rest of the month!